The Day Satchel, featuring original hand-printed fabric. This larger cross body purse is the perfect size for the day’s essentials, whether out shopping, off to class or heading to work. 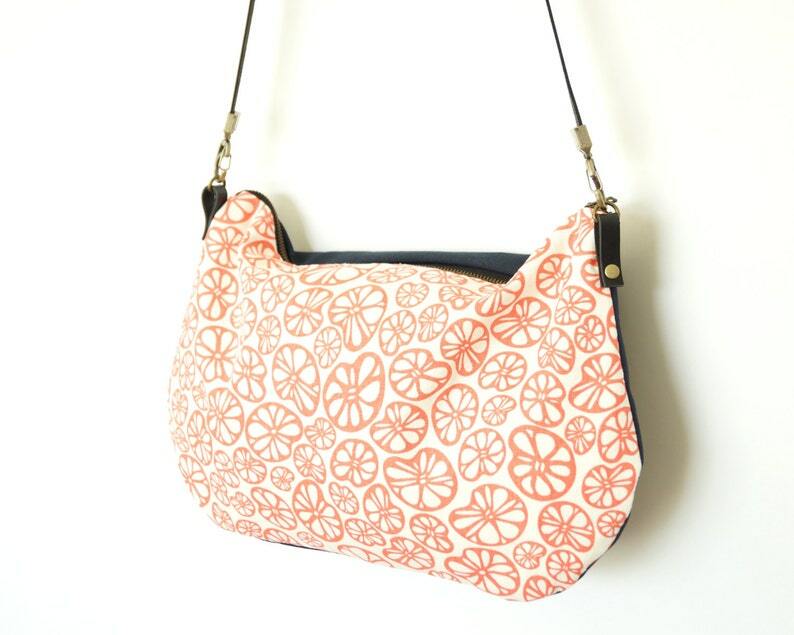 The purse combines an original Cloth+ink print with a sturdy navy organic canvas. Finished with internal pockets, antique brass zipper and black leather strap. Also makes a perfect gift for one lucky lady! The graceful lilypads floating silently on a pond’s surface were the inspiration for this fabric, an original print design by Cloth+ink. Shown here in ‘Coral’.